Based in Carlisle, Cumbria - Kierweb Web Design specialises in affordable custom built responsive website design services. Kierweb has been designing and building fast affordable custom responsive websites for clients in Carlisle, Cumbria and the UK since 2004! With many years experience designing web sites and back end systems, you can be assured of having a 100% user friendly CMS responsive website for your business delivered quickly and cost effectively. Darren interpreted exactly what I wanted for my website right from the start and was able to create everything I asked for. We were up against a tight time schedule but Darren worked incredibly quickly and responded instantly to any queries or requests I had and produced the website well ahead of the deadline. Darren is highly skilled, flexible and easy to work with, as well as being very good value for money. I would highly recommend him to anyone wanting to create a new website. He is always willing to help! Darren has been a fantastic support when we set up our website, he listened to what we wanted and put it on the screen then allowed us to fill in the blanks. He is always willing to help with our queries and suggests things which may make our website run smoother or look better. I would definitely recommend Darren to build and support you through your website. Kierweb has helped move our Festival firmly into the 21st century. Darren made the process of setting up a new website for our annual Festival one of those "I wish we'd done this years ago" experiences. Darren quickly understood how to bring the many aspects of the Festival together into an attractive, informative and user-friendly website. A year sooner than planned, we were able to take entries online, saving our volunteers a huge amount of work. Kierweb's quality and speed of service, training and ongoing support is second to none. As a regional and charitable organisation, we are pleased to have found a local business with a world-class standard of work, at very realistic prices. Highly recommended. Having little or no experience of anything website related. I can honestly say he was so helpful. He explained about the process enabling me to understand the importance of the design of the site. With help from my new website this has helped bring in more work. He’s always at the end of the phone to help out. Great value for money and highly recommended to anyone considering this for their future business or existing business. Thanks Darren. Darren at Kierweb is one of the easiest people I've worked with. We are delighted with our website and thanks to Darren, has lots of extra features we didn't know were possible. He always goes the extra mile and has helped us out swiftly and efficiently whenever we've needed it. Highly recommended! Darren from Kierweb has made the process of creating a new website very painless. Darren has captured the perfect atmosphere we were looking for and as a parent quoted, 'It shows that the children are at the heart of our school.' Darren spent time to meet with us to understand our initial ideas and had a draft website to present very quickly. From this point we could edit, add to and prepare for website launch day! Darren was a pupil at Lees Hill CE Primary School and it has been great to work with him on this project. He came recommended from other local schools in the area and we would certainly recommend him too. Thank you Kierweb! We found Darren at Kierweb through viewing a website we liked and noting the web designers name. We always receive a swift response from him when requesting help or sending information through. We are very pleased with our website, it looks good, is quick and easy to use for the viewer and it meets all our needs at the moment. It is reassuring to know that if we ever need to make any changes, Darren will be on hand to help. We can certainly recommend him. I heard about Kierweb Web Design from a client and decided to give them a go as we needed a new website. Darren delivered what he promised and I recommend Kierweb without reservation. A unique and easy to use website set up and designed. Darren was always on the end of the phone or email to help me with any questions I had on the site. Also doing home training on your site on your computer, you will definitely feel more confident. I did my research on website designers and not one offered this service. Fantastic, would recommend to anyone needing a great website. Thank you for our new website. Delivered quick and painless! We were very impressed with your professional but approachable way of working with us. We are not IT wizard's so it was great to be able to discuss the new design in terms we understand. The site is very user friendly and knowing that we can contact Darren any time if we need help, gives us the confidence that we can make any necessary changes in the future, to keep our site looking fresh and relevant. 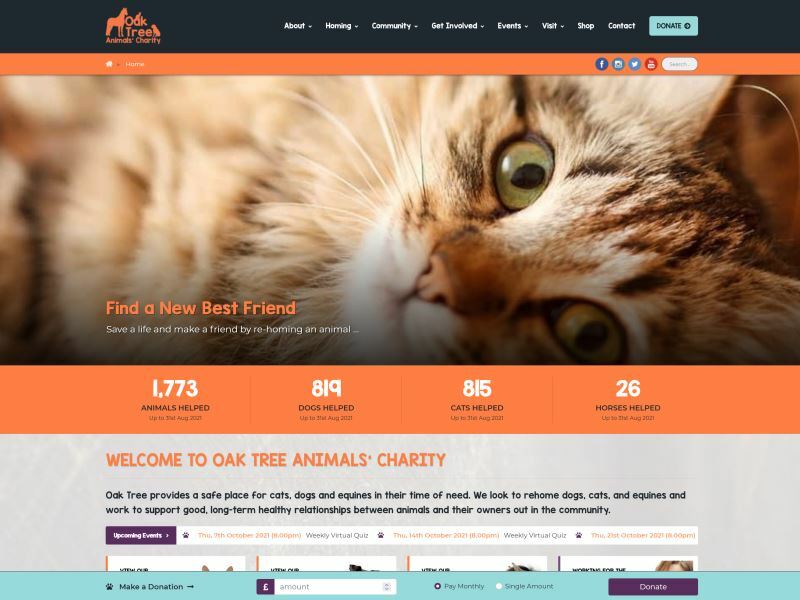 We are really impressed with our new website design! 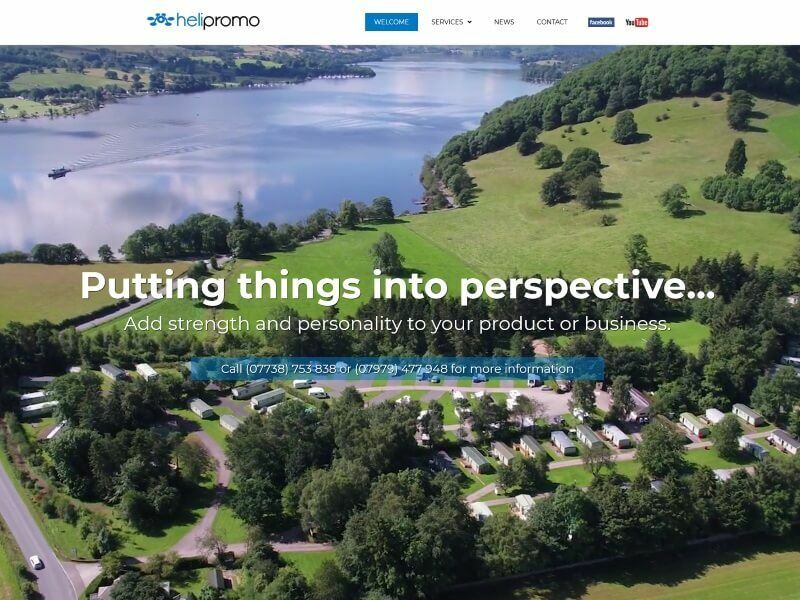 From the first point of contact he has listened closely to what we were looking for and, with our ideas and helpful advice form him, we now have a modern, easy to use website for our small business. Darren’s service throughout the process has been professional and reliable and he has always been on hand to answer any questions. So when I was looking around to get a website built, Darren came into my life at just the right time. We got chatting, and after getting to know him, I realised that he loved what he did as much as I did. It wasn't a job for him as such, It was a lifestyle, or his way of life and I could appreciate that in so many ways as I adore what I do for a living. I have fun with what I do and so does Darren, and as soon as he starts to build your website you will too! He keeps you up to date and informed at each step. I shall be telling anyone who listens how fab he is at what he does! I met with a few web designers before making a decision, I am so glad that I chose Kierweb. He has created a website beyond my original expectations and I am receiving amazing feedback. Don't waste your time looking elsewhere, all you need is here. He’s a true fountain of knowledge in his field. Darren was helpful and very prompt, he listened to all we asked and delivered it to brief. He understood the needs of our business and changed things as we asked. I will definitely be using Kierweb in the future. After worrying for ages about finding someone to update our website, we finally chose Darren after reviewing his own excellent website which showed that he had worked for many other organisations that we knew of. His service is fast and efficient plus fantastic value for money, leaving us feeling that we should have taken the plunge years ago. We are very happy with the new website and wouldn’t hesitate to recommend Darren to anyone. Being able to change photos and minor pieces of text ourselves is great, but knowing Darren is only a call away is very reassuring. I wouldn't hesitate in recommending him! He has helped in every step of the process and continues to be there. Darren worked very well and clearly with me in the production of the school's website. The design and structure of the website is very professional indeed. He is always available for information and chats about what needs to be added or altered, when needed. He guided me through the process, with patience and professionalism. After searching for a website designer, I was fortunate and lucky to find Darren, from Kierweb. The site he has developed has helped the business progress in a short period of time. I would recommend Kierweb (Darren) without reservation to anyone looking to have a website designed. Liasing with Darren was easy and pain free and the website was looking good even from the first take. Having decided to invest in professional website, the task of who to choose to help create it was next. A brief look around some of the sites already done by Kierweb and the differences in each one gave the impression that each account was treated individually, not just churned out of the same format each time. The best phrase from colleagues, 'Oh it's a real one', speaks for itself really. Even if I'd tried myself and spent months on the project we would never have achieved what we have as a site. His solutions to problems are simple, realistic and workable. The website that Darren built for us is far better than our expectations, considering our small budget for web development. Darren has been very easy to work with and has also been really prompt in responding to questions and queries and completing various sections way ahead of schedule. Darren was recommended to us and we don’t hesitate at all to also recommend his services as a web developer to anyone too! Can't thank you enough Darren for the work that you put in to making our website as brilliant as it is. It's great to know that you are at the end of the phone any time we need help and advice. I can and will thoroughly recommend Kierweb to all. Darren took my old website and transformed it to a professional, user friendly site that exceeded all my expectations. The whole process was very quick, efficient and cost effective. Darren's an easy guy to deal with and I only wish I'd found him earlier. There's no need to go elsewhere for your web design. One happy customer! We already had a basic website. Darren guided me through the process of bringing the website up to date and mobile friendly. His efficiency and professional approach in carrying out this task impressed me greatly. Excellent job, Well Done. Kierweb are always there to help! I approached Kierweb after firstly trying a few other website designers, and I wasn't happy with there approach. Not interested in what I wanted. I'd heard some great recommendations from other businesses about Kierweb. So I thought I'd give them a call. So glad I did! After an initial meeting and a few different designs done we had a final website I could be proud of. Kierweb are always there to help/change/add anything I need doing and that's a testament to the pride in their work. I'm confident that my business would not be what it is today without the help of Kierweb. Darren at Kierweb has superb customer service and never tired of my endless calls,visits and questions! He listened to what I required in a website and delivered exactly that. He is always at the end of the phone with any queries I may have and is always more than helpful. I would recommend Kierweb for your web design, as Darren is very reliable and with fast, affordable service what more could you want. Darren has created a clear, attractive, uncluttered website. He worked efficiently and effectively and offered sound, practical advice to ensure we ended up with such a great looking website and our online ticket sales increased substantially this year thanks to this easily understood website. I would highly recommend Darren at Kierweb for an affordable and accessible website management programme. Darren is an easy person to get on with. We had been meaning to get a website for years, but were unsure how to go about it. We took the plunge and contacted Darren after having seen some of his work online. He is very approachable and we were soon working with him to plan and design what we needed; it was both an interesting and creative process. The site has been up and running now for about 6 months and it has been great. 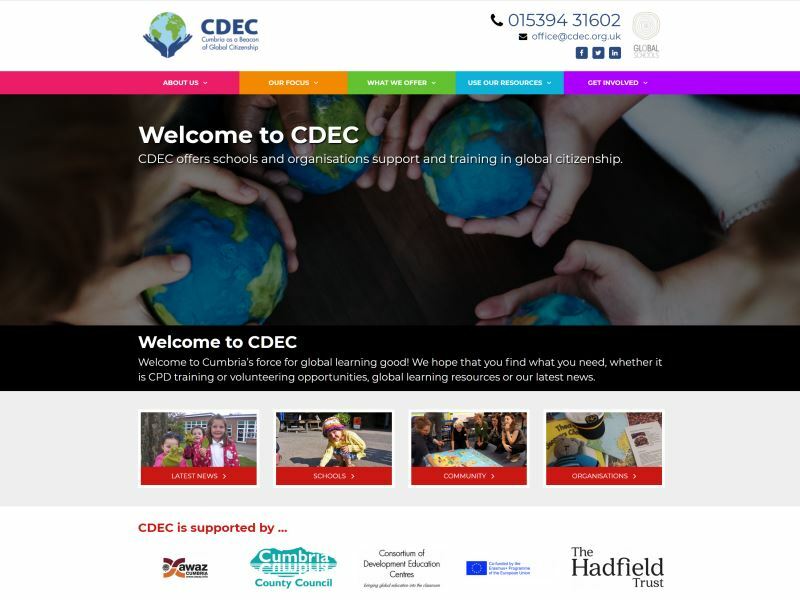 We are able to refer people to our website, so they can read and download information on our courses and get the information on how to book and pay. Feedback from our students about the website have been very complementary. When the very occasional glitch occurred, a quick email to Darren meant he was straight on the case and fixed it very quickly. He took us through the process of creating our website in a friendly, straightforward way. We like their imagination and flair in design! We have worked with Kierweb for about ten years now, and they have coped with complex and changing demands. We have recommended them to others who have also been very happy with them - and their prices are very competitive too! I have worked with Kierweb now for a number of years and Darren's knowledge and skills never cease to amaze me!. The most recent project was a complete redesign of my website to coincide with the re-brand of my company. I had VERY specific ideas of the design and Darren was endlessly patient with me and full of enthusiasm to make my thoughts become reality. As always he has delivered on every level, and above all, he tried to accommodate all of my design requests no-matter how crazy! I would recommend Kierweb without hesitation, you won’t be disappointed!